Bangladesh’s economy is primarily agricultural, accounting for 63% the labour force and 35% of GDP. The North- and South-western regions are drought-prone, with late arrival or early withdrawal of monsoon rains. 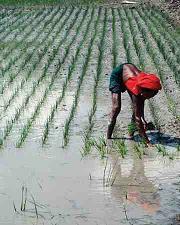 This affects rice crops, which account for more than 80% of the total cultivated land, and causes regular damage to jute, the country’s main cash crop. Droughts in March-April prevent land preparation and ploughing, delaying the broadcasting of aman and the planting of aus and jute. Droughts in May/June destroy the broadcast of aman, aus and jute. Inadequate rains in July and August delay transplantation of aman, while droughts in September and October reduce yields of both broadcast and transplanted aman and delay the sowing of pulses and potatoes. This study explores ways in which climate change knowledge management in Nepal can be strengthened at the local to national level. Hazard Support aims to develop new methods for decision-makers and climate experts to tailor information about the impacts of climate change on natural hazards for adaptation decisions. Per Espen Stoknes outlines the principal barriers and solutions to getting people to think long-term about climate change and to take action to reduce it.